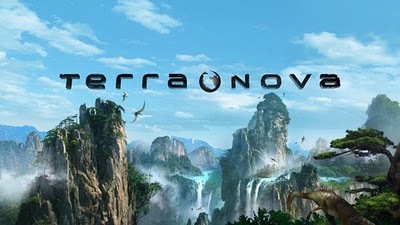 The long delayed, big budget Steven Spielberg produced TV series “Terra Nova” finally premieres tonight (Monday September 26th, 2011). The time travel/dinosaur centric series kicks off with a 2 hour pilot at 8/7c. While I will certainly be tuning in, I have to wonder if this series can garner enough viewers to survive or if it will be another ambitious short-lived sci-fi series. One thing’s for sure, if the series does fail, it won’t be for lack of promotion. Fox has been bombarding the tube with ads on multiple channels (even Fox Soccer Channel). “Day Of The Daleks” is a slow paced adventure, but it ends with a bang. As you may know, “The Lion King” 3D has just hit theaters today, but that’s not the only “The Lion King” news. On October 4th, there will be 3 home video releases. First up is a two-disc Diamond Edition Blu-ray set which also includes a DVD copy. Secondly, there is a four-disc Diamond Edition which contains a Blu-ray 3D copy, a Blu-ray copy, a DVD copy, and a digital copy. Lastly, there is the eight-disc “The Lion King” trilogy which contains Blu-ray and DVD copies of “The Lion King,” “The Lion King 1 1/2,” and “The Lion King 2” films. Also included are a Blu-ray 3D and a digital copy of the first film. On November 15, the film will be released on a stand-alone DVD copy.